South East Asia is a hive of activity and incredibly infectious hustle and bustle – and that’s why we love it! But now and again when visiting this fantastic region you need a dose of quiet and calm down-time to counteract the craziness. I know I have been feeling this way for a while, Asia can be so hectic with lots of noise and so many people. I decided to do some research on somewhere to get away from it all and thought you would like it. So, for a blissful, out-of-the-way experience, here are three of the best alternative places to stay for a chilled out luxury holiday to South East Asia. Sitting on a secluded river bend and surrounded by pristine virgin forest, Four Rivers Floating Lodge is a place to discover un-spoilt Cambodia at its very best. 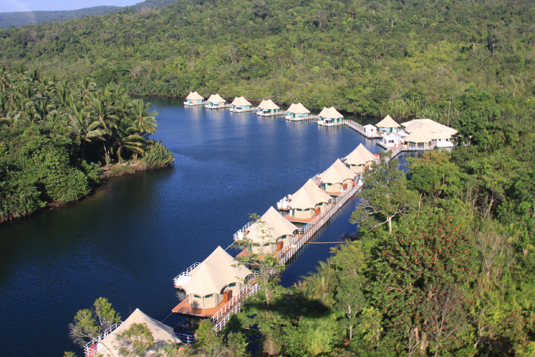 Just 12 luxurious tented villas sit on the Tatai River – a four hour drive from Phnom Penh – and you can spend your days kayaking along the mangrove waterways and visiting local villages. 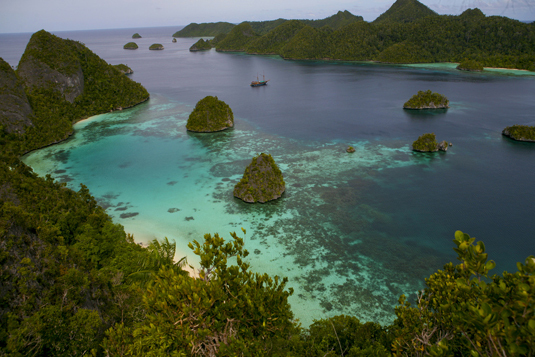 Without a doubt the ultimate way to explore the enchanting islands of the Indonesian archipelago, Tiger Blue is a luxurious 34 metre traditional sailboat perfect for following in the footsteps of early explorers. The boat takes a slightly different route depending on the time of year, taking in the Komodo National Park between March and September and the Spice Islands of the Banda Sea between October and December. There’s always a good time to go to Indonesia. When you think of Vietnam you don’t always think of fantastic, un-touched beaches, but you should! 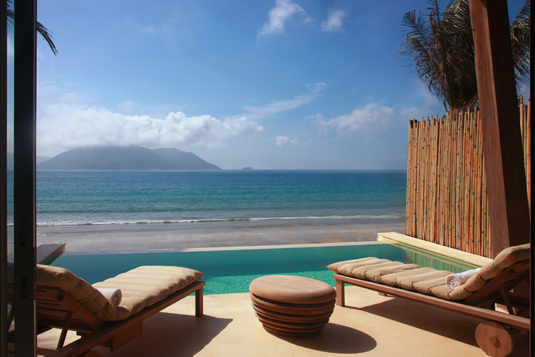 Our favourite place to hide away in total luxury is the new Six Senses Con Dao resort located on the idyllic Con Dao Islands, a breathtaking archipelago featuring white powder beaches and warm crystal seas. Brilliant location, excellent food and high eco-credentials – what could be better?